We both slept hard and well. 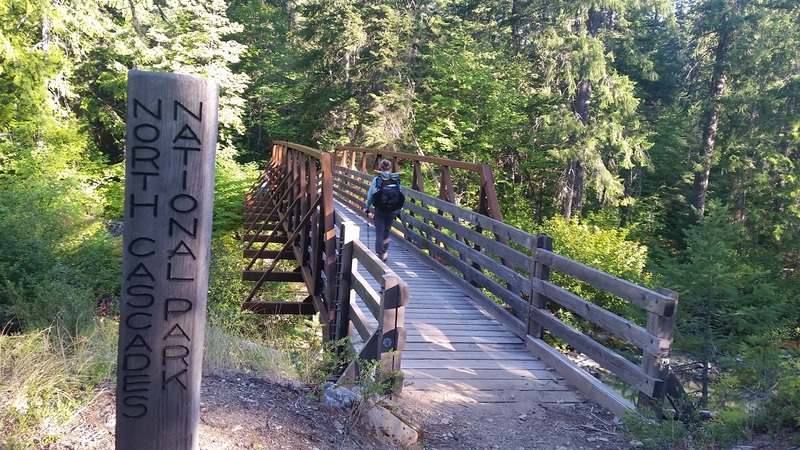 There is no longer a concern about not sleeping well while backpacking. The trick is to walk so far that when you allow yourself to get horizonal, you fall asleep. And our new pads are glorious. They keep us so warm that even Andy, who sleeps much cooler than Laurie, has slept in quilt mode for much of the last week. We wanted to catch the 9:15 shuttle from High Bridge so, although we both felt like we could have slept forever, we started to move. We were walking by 6:30. It was mostly downhill to the ranger station and bridge. The sky looked clear and we couldn’t smell any smoke. We were not sure if the fire was put out, the wind had shifted or if we were now far enough north. Whatever the reason it felt good to be breathing fresh air again. 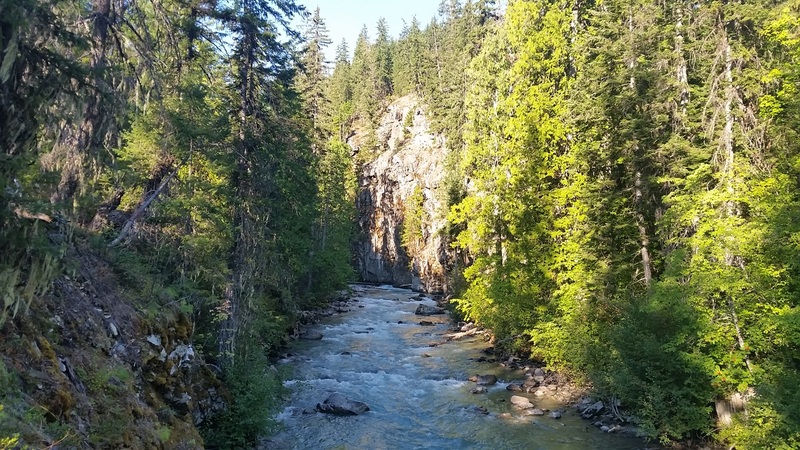 We hiked down through the forest, past small creeks and alongside the roaring South Fork of the Agnes Creek. The creek formed a large gorge through which it traveled and we walked above. The steep cliffs were a new sight for our eyes, now accustomed to only green foliage and brown dirt. We got to the Ranger Station and bus stop around 8:30. We recognized Sam but there were at least 10 other unfamiliar faces milling around. “Where did all of these people come from?” we asked one another. During the day we see nobody. 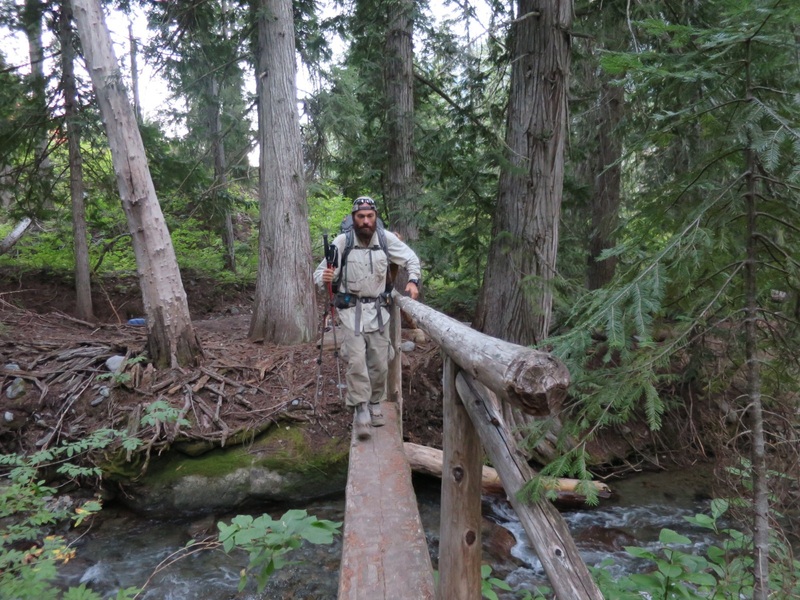 Lately, it is when we get to camp that we see others, mostly section hikers since some thru hikers camp later than us. Today, people just kept coming. 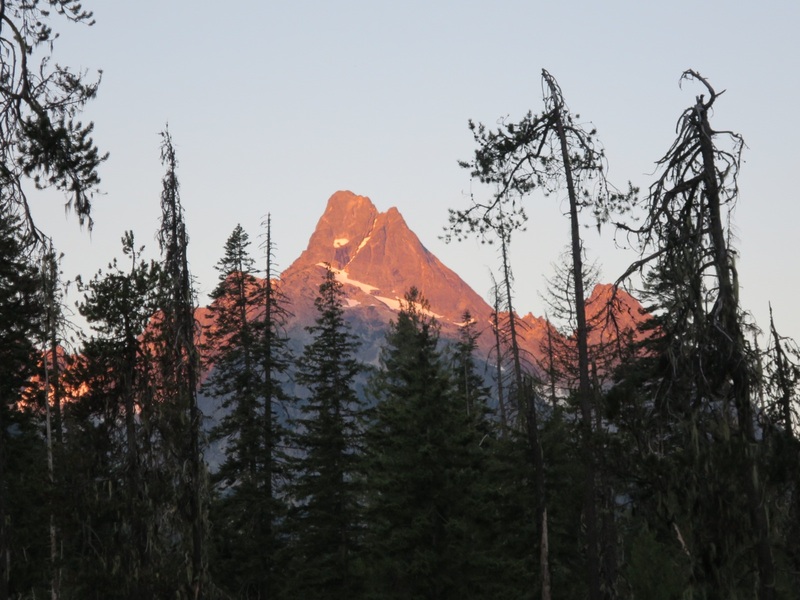 Many had hiked to Stehekin from Cascade Pass or other starting points to the north. Eventually there were over 30 hikers waiting for the shuttle. Some in their early teens and others in their 60s. 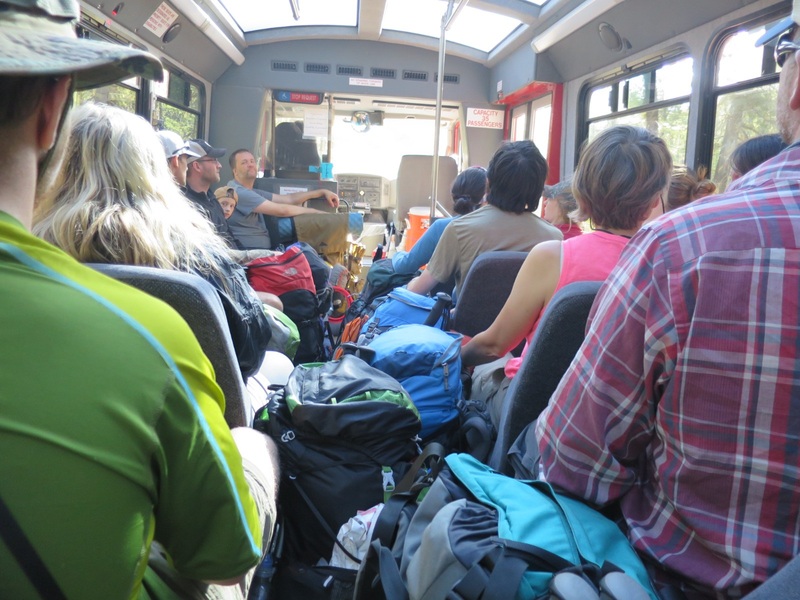 As the bus pulled up familiar faces departed – all smiling – including Lux, Nemo, and Rob and Christa! We were so bummed we never got to hike with Rob and Christa. It was nice to finally meet them in person but we were both overwhelmed and distracted that we didn’t know what to say. 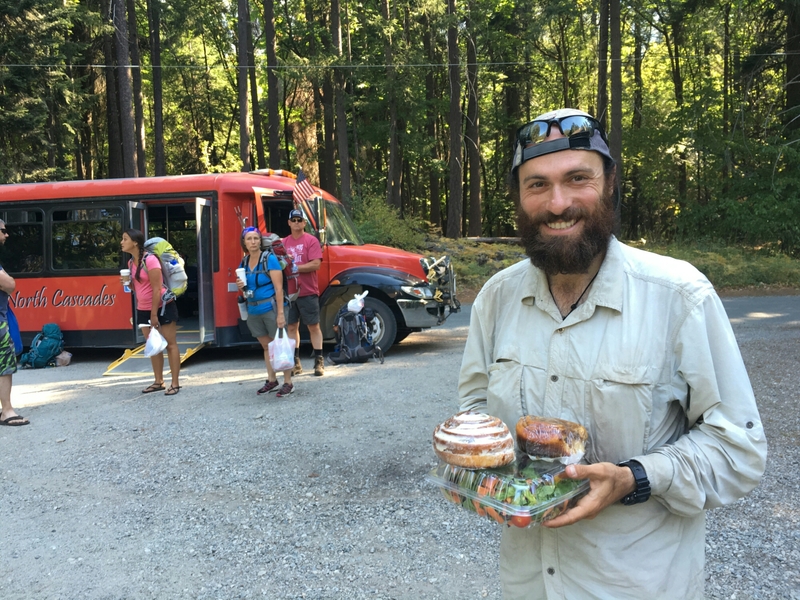 We and 30 others piled into the bus and headed down the bumpy dirt road to the bakery. We got a salad, sticky bun, cinnamon roll and muffin. We demolished the last three within 30 minutes. Laurie decided to make today a gluten holiday – there was just too much sugary goodness to pass up. But the salad was a huge dissappintment. It was small and very expensive ($10 for a large that wasn’t very big). 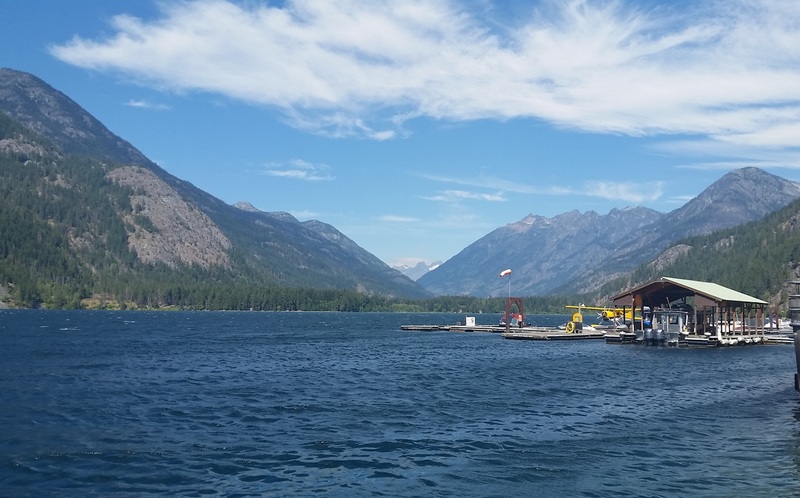 Stehekin is a small tourist town. It is accessible only by plane, boat or foot. It is quaint, beautiful and would have been a wonderful place to take a zero but we were on a time line. 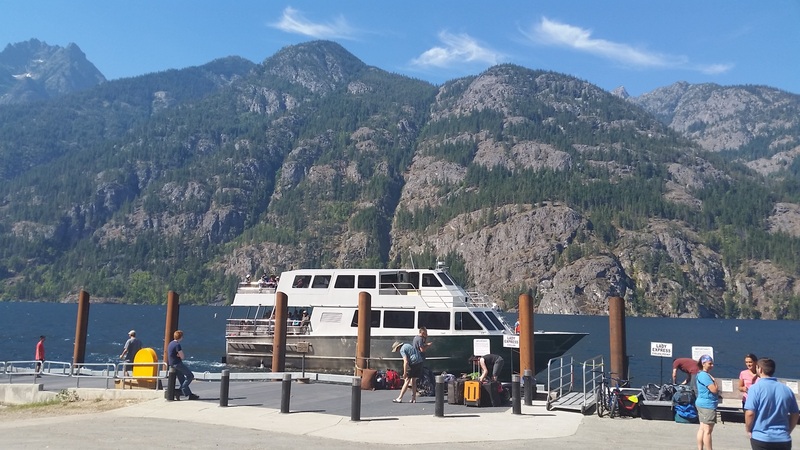 We wandered around the boat dock, got a permit to camp within North Cascade National Park and explored the hiker box while waiting for the Stehekin Valley Ranch white school bus to make its way to the boat dock. 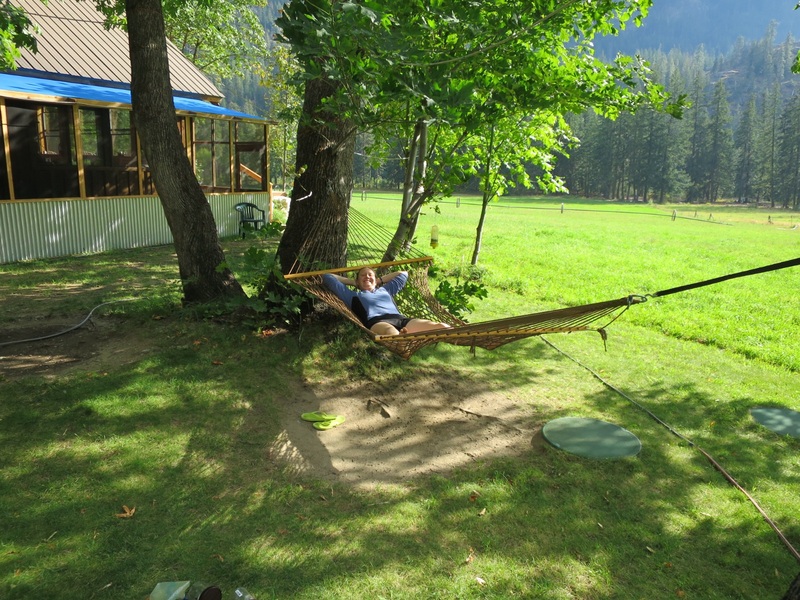 Laurie had stayed at the ranch with her mom in the past and we hoped they would have availability. 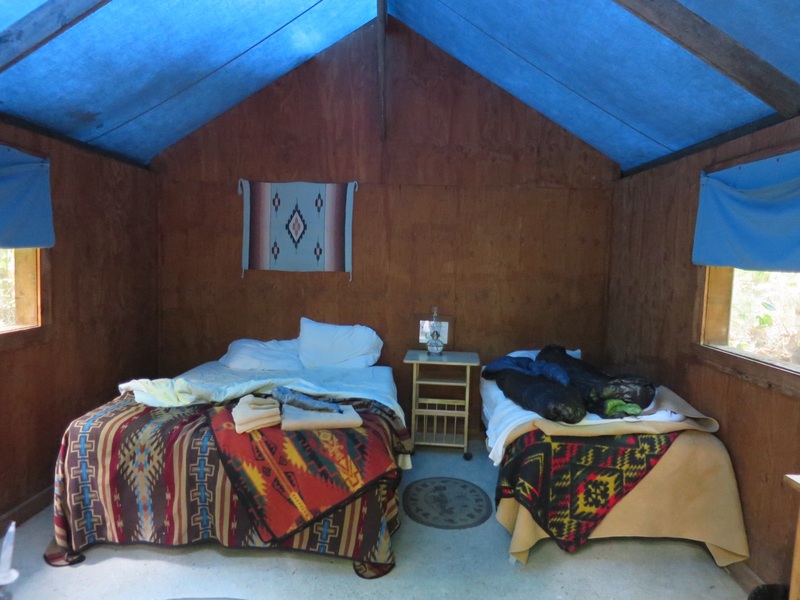 They offer fancy and rustic cabins and 3 meals/day. 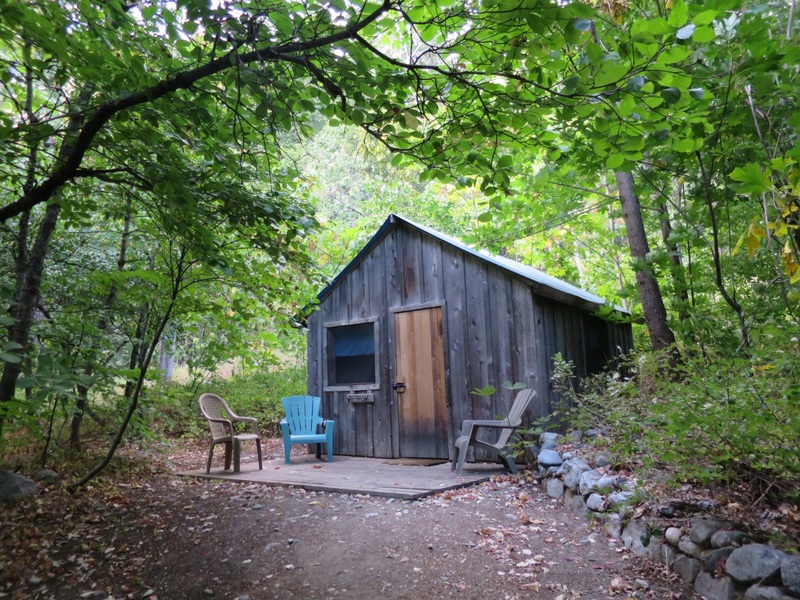 We were in luck and got a cute rustic cabin for the night! 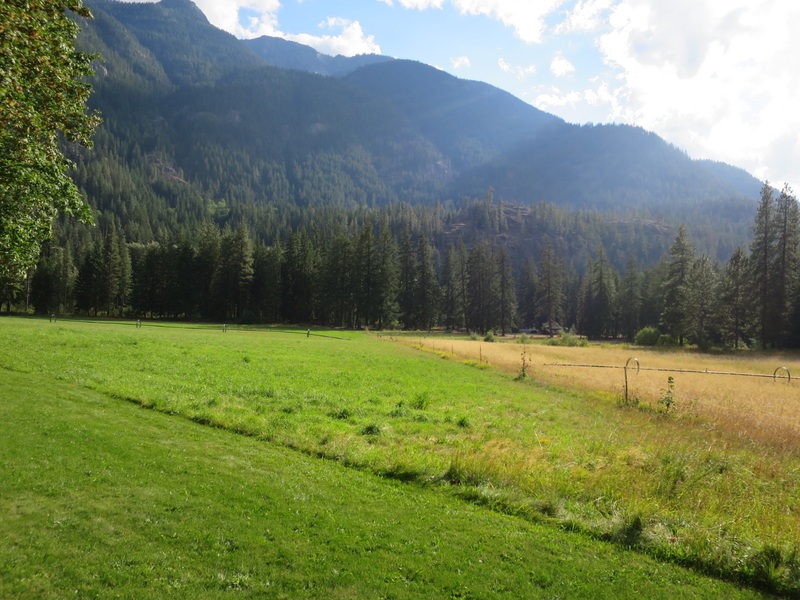 The Stehekin Valley Ranch is nestled up the valley away from the activity of the lodge and boat dock. We ate meals staring out at sunflowers and open fields. Andy had a cheeseburger, a grilled cheese sandwich, meat and veggie soup and two chocolate chip cookies while Laurie ate two cheeseburgers, two bags of chips and an apple. Satiated, we happily left the dining hall to grab our dirty clothes for laundry. “I’ve never been this filthy walking into town.” remarked Andy when looking at his clothes. 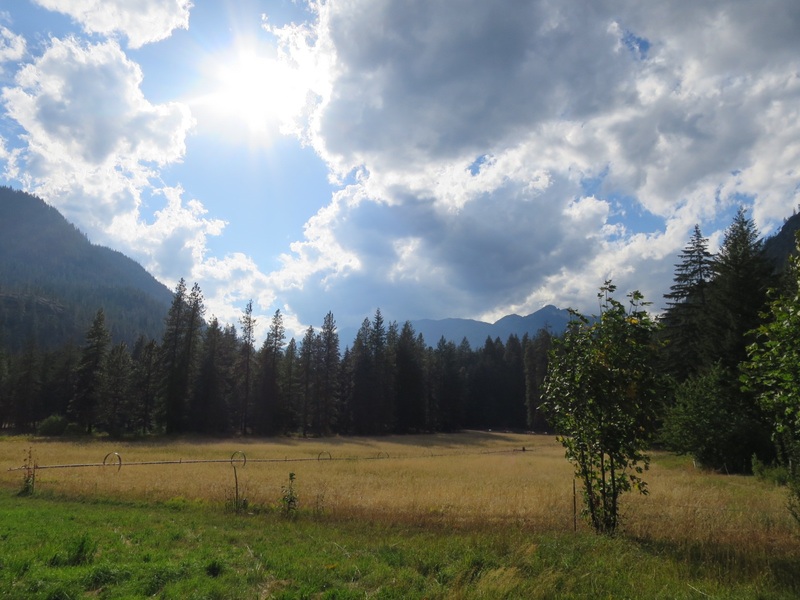 And since we had been sweating profusely everyday since Snoqualmie Pass his clothes were stiff from all the salt deposits. Once clean, we went back to the room where Laurie enjoyed an epic nap. An hour after lunch we were hungry again but dinner wasn’t until 5:30, so we distracted ourselves with our to do lists. We edited blog posts, walked around and tried to get online. The Internet was very slow so we gave up on trying to do anything more than reach out to family and let them know we were ok.
At 6 o’clock the dinner bell rang. We made our way back to the dining hall for an all you can eat roast chicken dinner. 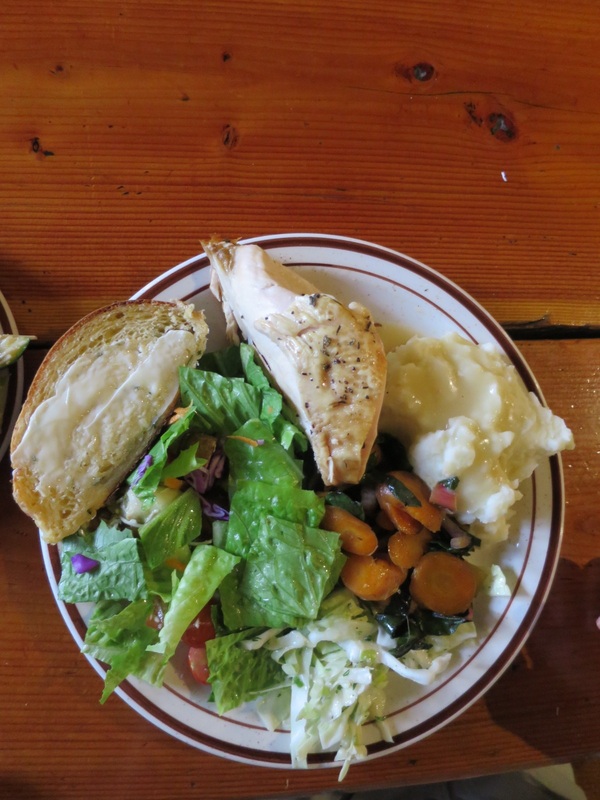 We inhaled mashed potatoes, salad, chicken, carrots and swiss chard, and garlic bread. One plate was enough for both of us to be content. “I haven’t had swiss chard in 4 months” Laurie said excitedly as she savored the green leaves. Overall the food was ok, but most disappointing was dessert. Laurie’s been looking forward to pie for days. And when she was here a few years ago she remembers having all you can eat dessert. Now, we were only allowed one piece of either cake or pie. When Laurie went up for a second piece of pie and was rejected, she felt disappointed and ashamed. We had chosen to not buy pie from the bakery anticipating we’d get pie for dessert and unfortunately Laurie was let down. We sat in the dining hall, savoring what was left of Andy’s slice of blueberry pie. The ladies next to us started chattin with Laurie, asking if she was hiking the PCT. With glee, Laurie took Polly up on her offer. She was once again happy and excited. After enjoying a piece of sour cream pear pie we left the dining hall, retrieved our charging phones from the men’s showers and went to bed. It was 8:45pm and Laurie was starting to write. Andy encouraged her to put her phone down and go to bed early. At 9:15 Andy blew out the kerosene lantern and we went to bed. Tonight we are grateful for available cabins and kind, giving strangers.